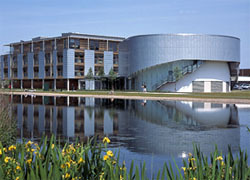 Nottingham University Business School offers a top-quality Executive MBA with an excellent reputation. To study the Executive MBA programme you should typically have at least five years of management experience; the average is more than ten. Exceptional flexibility; modules are completed in self-contained, one-week blocks. The programme can be completed within two to four years with the option to vary the number of modules taken each year to suit your lifestyle, work and personal commitments. Modules are normally delivered in January, April, July, and September. For more information about Nottingham Executive MBA, please submit an information request below and the school will contact you with further information. Individual applicants, applicants sponsored by companies, companies or organisations that want to develop a customised programme through a formal partnership with the Business School. Plus five electives and a management project. 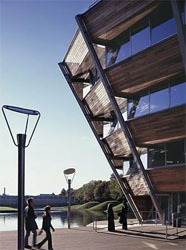 Fill out your details to find out more about Nottingham Executive MBA.